Hair Fall – not a natural phenomena anymore ! Thick bouncy and beautiful hair… something everyone wish for. And well, many of them are gifted with healthy hair but people, nowadays, suffering from hair fall / hair thinning is outnumbering them. Whether its a repercussion of today’s stressful lifestyle or poor diet habits, or whether use of multiple chemicals via shampoos, gels, stiffeners or sprays is affecting; hair fall has become one of the wide spread problem. Sadly, a situation which usually affected older age group earlier, now has not spared our young generation too. Children, even from their college age are suffering from hair fall and are caught in loop of multiple remedies being advertised everyday for controlling hair fall or hair re-growth. My purpose of mentioning this article is to highlight benefits of certain medicines which have been successful (in most of the cases – as otherwise it is very subjective) in controlling this disturbing situation. One of this is Mintop. Mintop containing the active ingredient minoxidil is considered a vasodilator type of medication. it dilates blood vessels of the scalp, improving blood flow within your hair follicles. This facilitates stimulating hair regrowth and to slow hair loss. 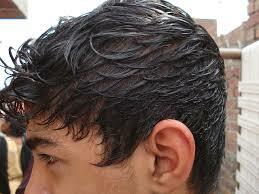 It is suggested to be effective when hair fall is recent. There are two types of solutions available in the market – 2% and 5% and it is highly recommended that one should consult a dermatologist before starting medication and understand its process of application. Since it is very important to know that this medicine needs to be applied directly on the scalp and shouldn’t be used on hair. Another known medicine for this purpose is Finax. Finax (Finasteride) is a male pattern hair loss treatment. This slows down the hair loss and help re-growth of hair in men affected by androgenic alopecia. Again to underline, kindly consult your doctor before prescribing to any medicine. There have been certain side-effects also, noticed when people used these medicines; such as drying scalp, itching, scalp irritability etc., therefore, be very careful while applying any such medicinal solution that it shouldn’t come in contact directly with eyes, should be kept away from children and never ever over do them.